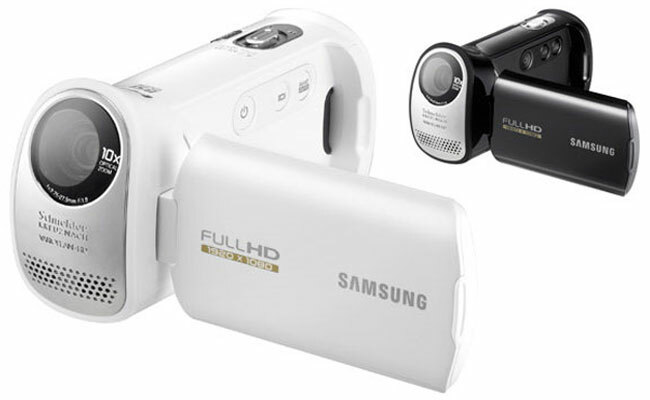 Samsung has added another HD video camera to its range with the launch of the Samsung HMX-T10 HD. The Samsung HMX-T10 HD features a new design over the previous model, and it also features a 20 degree angled lens, which is designed to give you a different perspective when shooting video. The Samsung HMX-T10 is capable of shooting Full HD video and it can also take still photos at 4.7 megapixels. There is also a 2.7 inc touchsreen LCD display, 10x optical zoom and built in image stabilization. It will go on sale in September for $299.